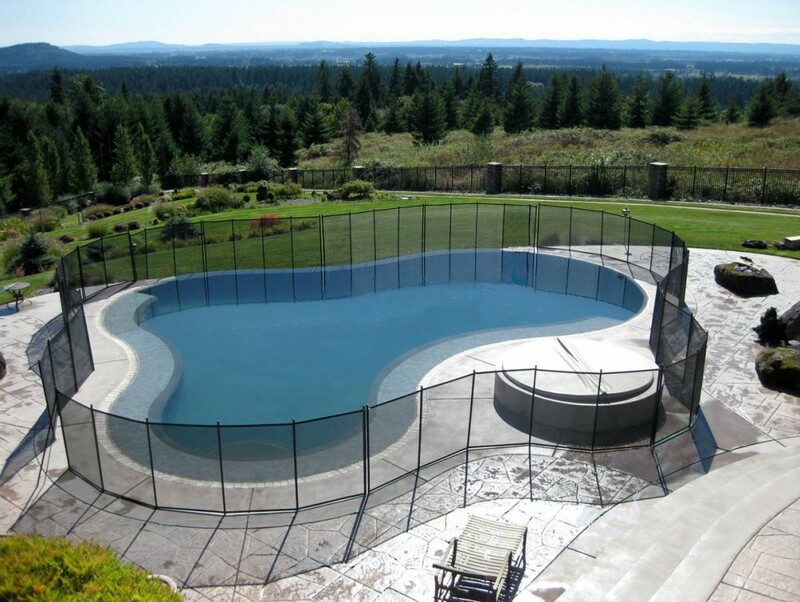 Make sure your removable pool safety fence uses unbreakable fiberglass posts that twist-lock into your deck for maximum safety. 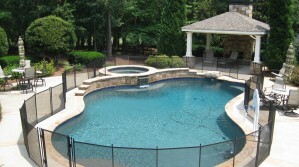 Swimming pools provide your family with hours of fun and relaxation, but they can be dangerous for little ones. 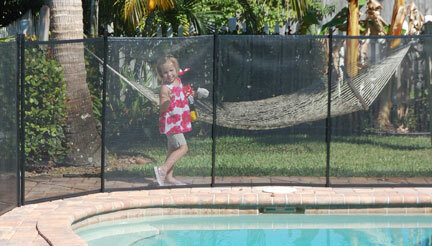 That’s why, more than 30 years ago, we developed our removable mesh pool fence to help protect young children. 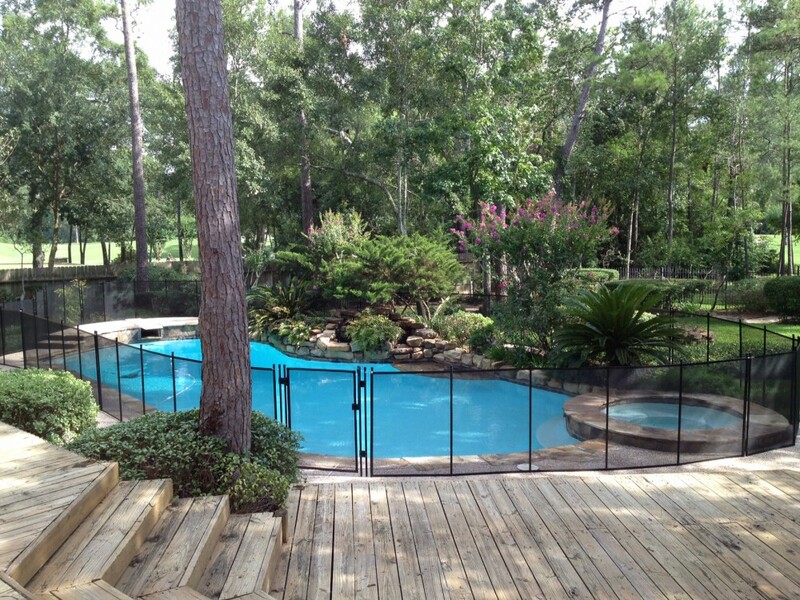 Trust us to help keep your family safe around the water so you can enjoy your beautiful backyard pool. 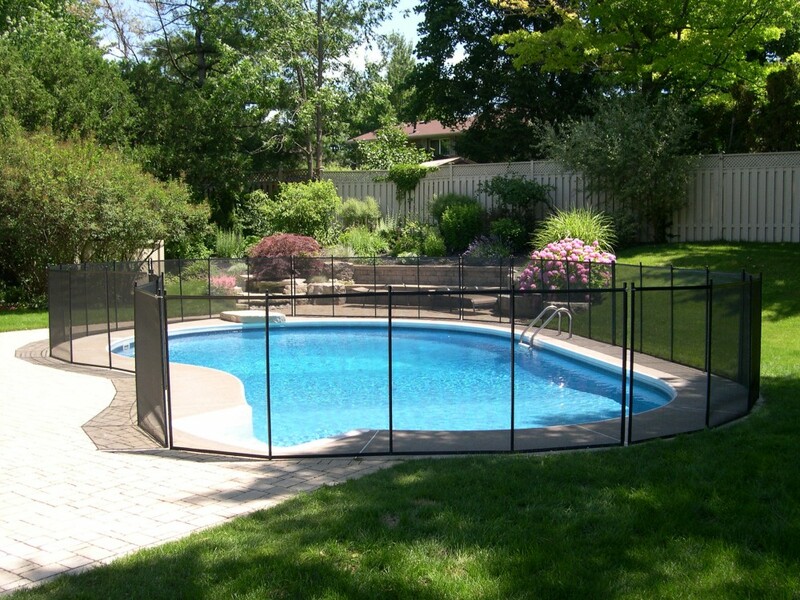 Our pool fences include several important elements that work together to help provide the safest barrier possible around your pool. 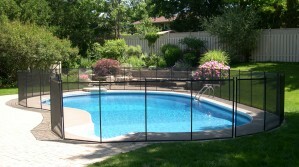 The posts are the main component of your mesh pool fence, and keep your fence securely in place. 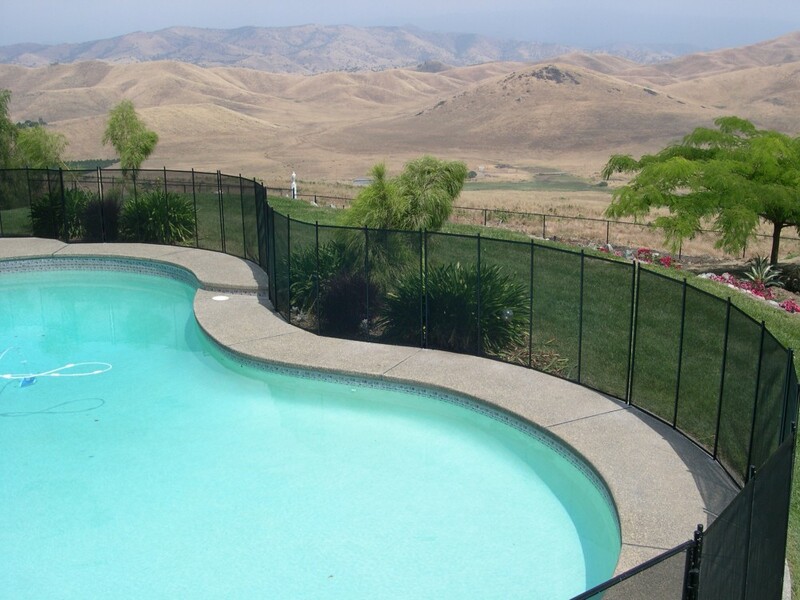 We designed our fences with composite fiberglass posts, which are so strong, we include a lifetime warranty against breakage or becoming crooked. 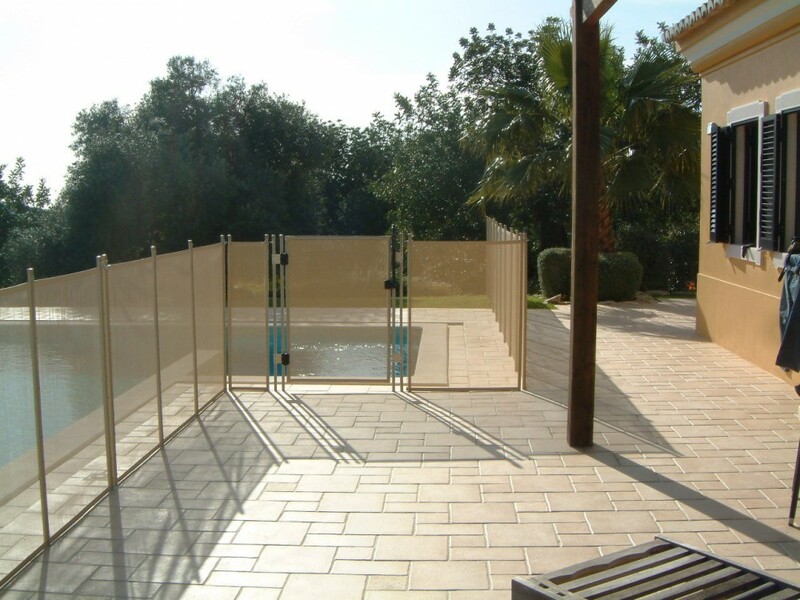 The other important fence components are our weatherproof mesh and borders, which provide you with a transparent, impact-resistant barrier that will hold up to daily use, as well as to sun, rain and cold. 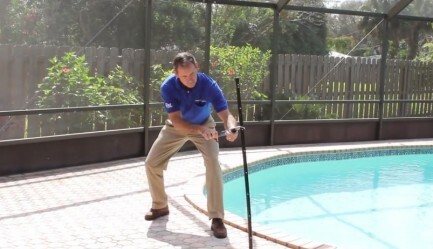 We’ve heard some pool owners say that they assumed all pool fence posts are the same. 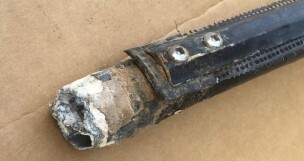 To help clear up this misconception, we tested our strong fiberglass posts against several aluminum post designs. 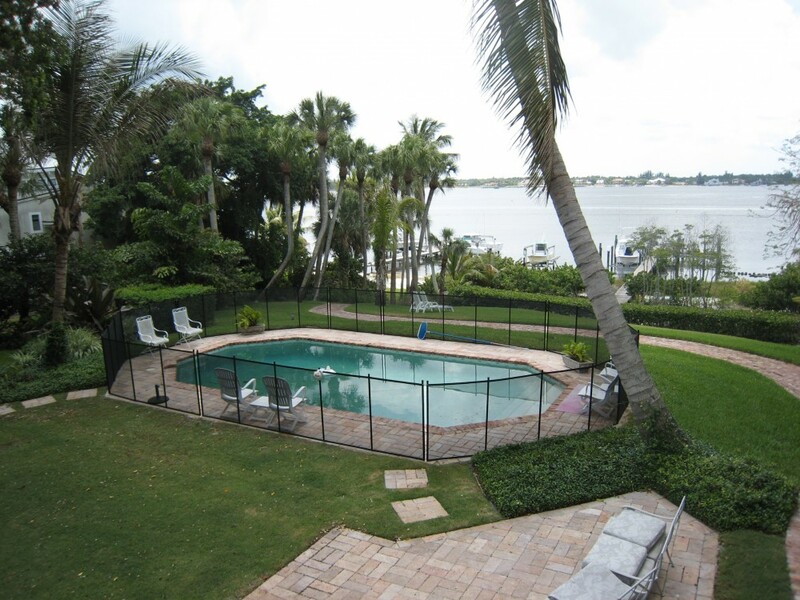 The results clearly demonstrate how aluminum posts break or become bent under minimal force or pressure, while our fiberglass posts handle greater amounts of force and still bounce right back up, straight and true. 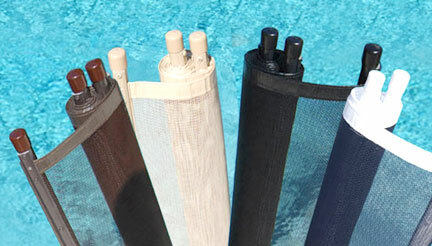 The solid strength and resilience of our posts provides your family with a pool barrier that can handle years of children bumping up against it or adults leaning on it at barbecues. 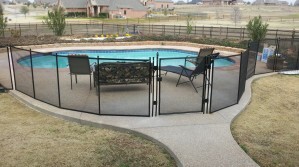 Lock-in-Deck Posts are too difficult for children to take out, but parents can unlock and remove with a twisting motion. 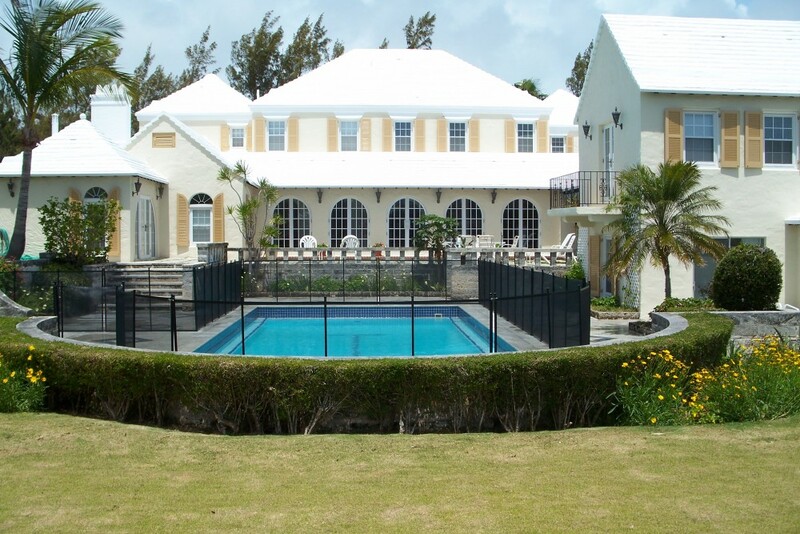 Secure Point-Lock Latches provide secure, adjustable connections between fence sections. 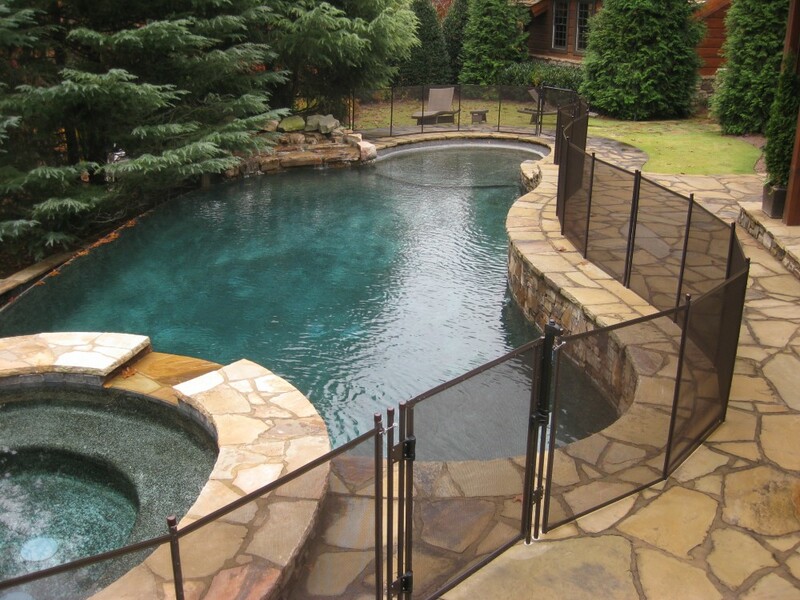 Self-Closing Gates give you a convenient and safe way to help keep your pool fence closed and locked. Parental supervision is still recommended. Protective layers and solid-core design provide long-lasting support. 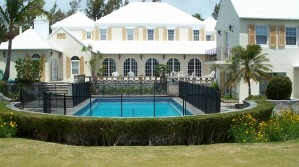 Powerful resilience against stress keeps your fence straight and taut. 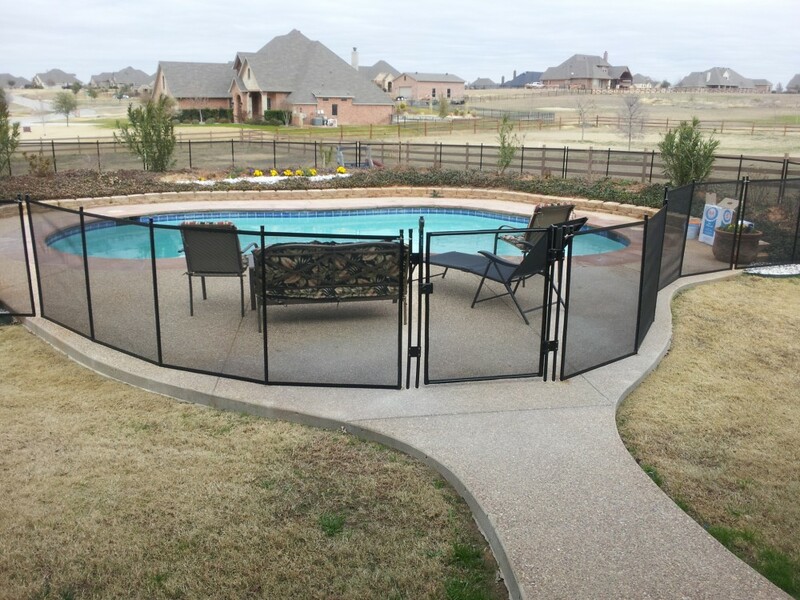 Post color will never chip or flake off, so your fence stays attractive. 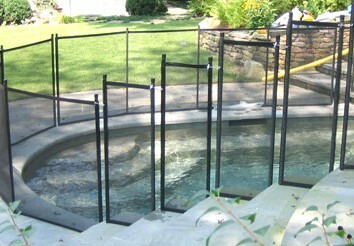 Does not require grounding within five feet of the pool as aluminum does. 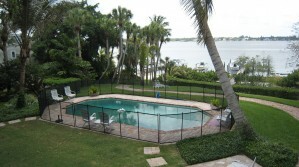 Posts stay cool to touch in the sun, unlike hot aluminum posts. 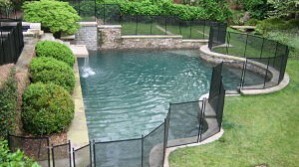 Fence does not corrode around salt-water pools like aluminum posts do. A strong, four-sided frame and square truss system for long-lasting support. 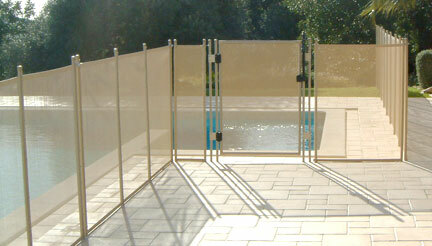 Four sided frames provide superior rigidity over 3 sided frames. 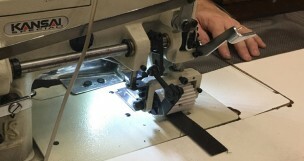 This rigidity increases reliability of closing and latching mechanisms. The most reliable magnetically triggered gate latches, by Magna Latch. These magnetically triggered latches draw the catch to them and latch it tightly for increased safety. Tru-Close spring loaded hinges for ultra-reliable closing and latching. They are tension adjustable and simply the most reliable available. 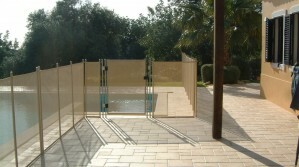 A lock and key comes standard with every gate for additional safety. 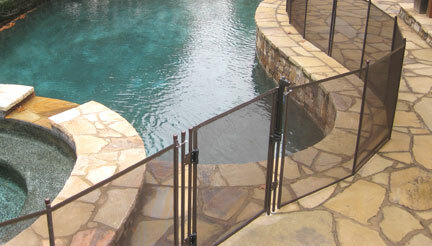 IMPORTANT: As convenient as they are, self closing, self latching gates must rely upon “mechanisms” to operate. We don’t want anyone to have a false sense of security here. The latch must always be checked by an adult to assure proper working order and latching effectiveness. As with any gate, a towel or toy blocking the gate can prevent closure, so make sure you keep this area clear. We always recommend adult supervision to ensure maximum safety. 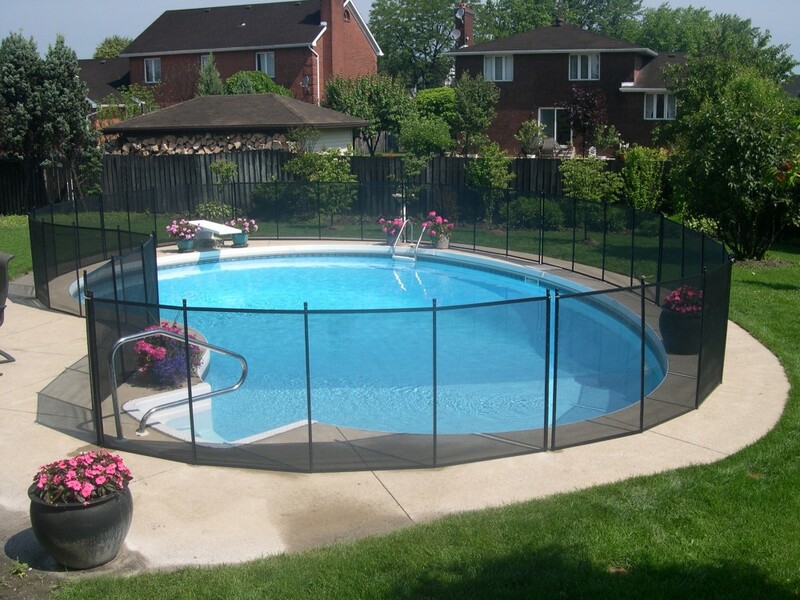 Securing your swimming pool with a safety barrier does not have to disrupt your beautiful backyard view. We provide you with a variety of classic color options and combinations to choose from for your fence posts, mesh and borders. 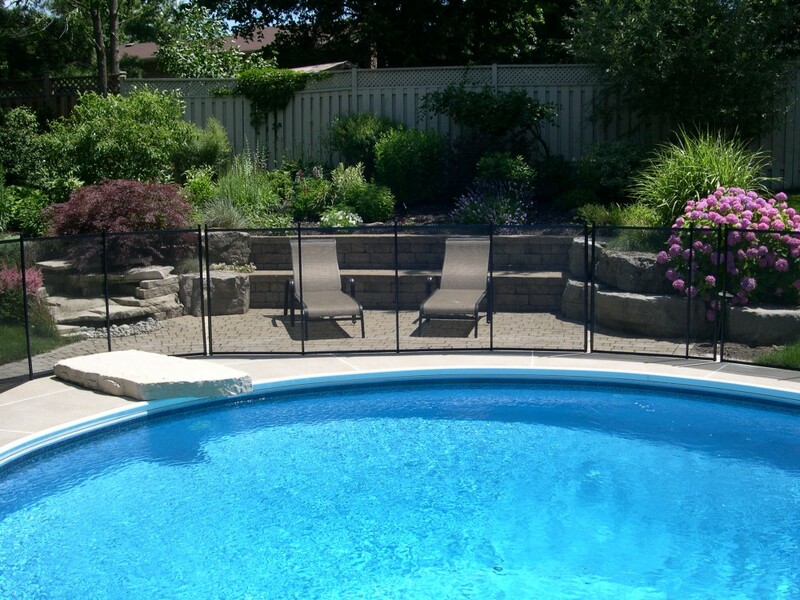 Whether you want your pool fence to disappear, blend in or accent your pool area’s decor, our stylish options can be configured to meet your taste and needs. 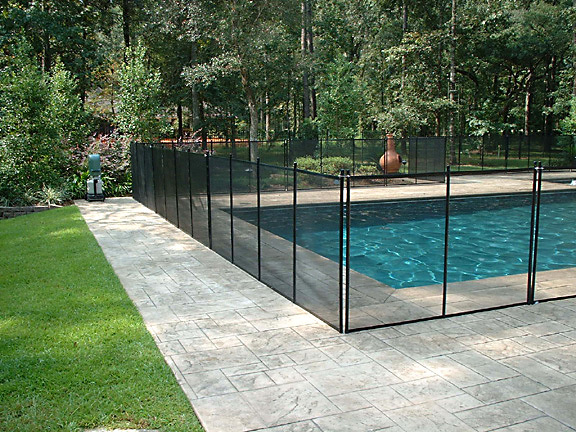 Whether you need a 5-foot-tall fence for children or a shorter, 20-inch-tall fence for small pets, we provide several height options to meet your family’s needs. 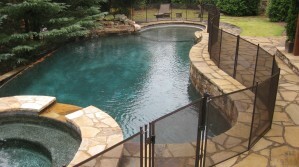 Our experienced local dealer will consult with you to determine the safest option for securing your pool. 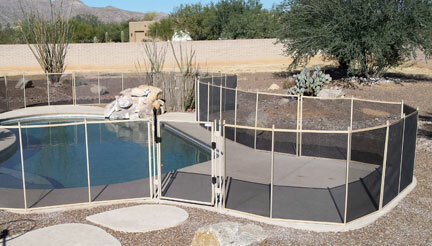 We also provide options that meet ASTM and other building codes for fencing. 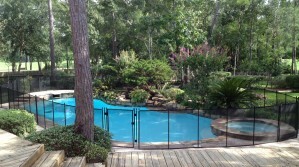 Every backyard and pool is different. 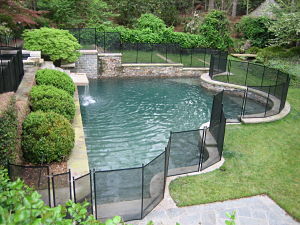 Your pool may require us to make some custom configurations to properly secure your backyard area. We can go up multiple steps, down slopes, across grass, around curves, and maneuver sharp angles or pretty much any other obstacle you can throw at us. 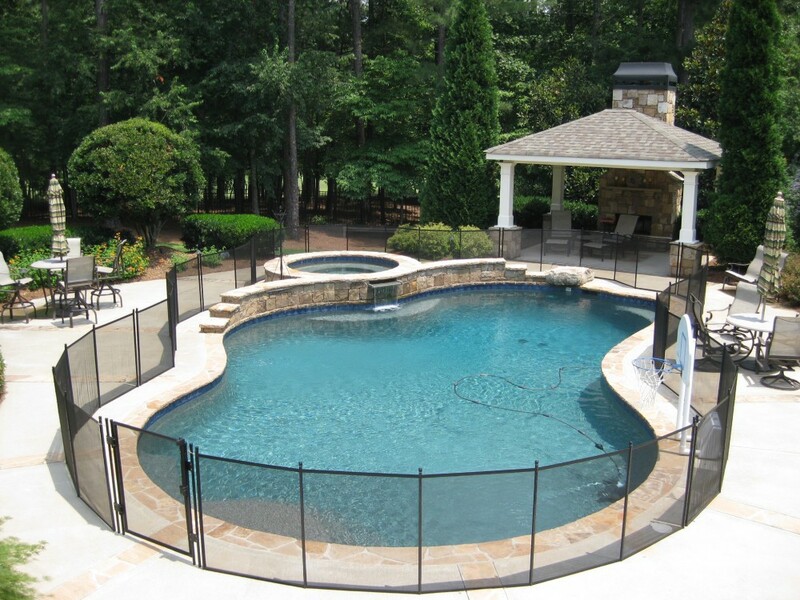 With 30 years of experience, you can trust that you will get the best and safest solution to keep your family safe around the pool. 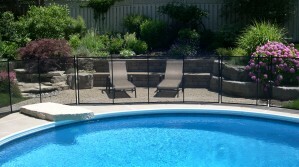 Fence went in great! Lots of impressed grandparents at the party. 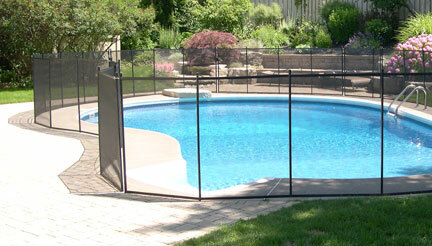 I’d refer anyone interested in a good person to assist them in a safety fence to you and your product. 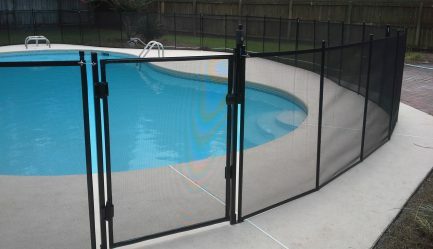 The fence is wonderful and will give you security to know that any of your children and animals will never fall into your pool. The fence will always give us peace of mind. Thank you for the excellent job you did with the fence. My grand children are here and it is being used multiple times a day. 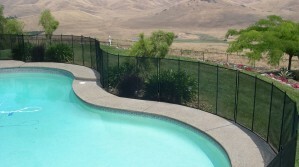 The fence gives us piece of mind...I appreciated your skill and also how neat you were. Thanks again for a job well done. 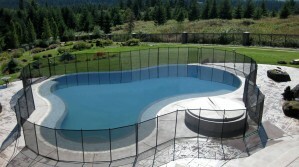 Don't Forget Your Pool Volleyball Net!